Personal blender is the latest type of blenders in the market right now. It is developed to cater to the busy lifestyle of the current generation that do not have the time to use a traditional countertop blenders to make their smoothies. It is typically designed with the least number of parts:- motor base, blades and cup (the traditional pitcher is designed to be used as a cup. Very convenient if are in a hurry. You can just make a smoothie and take the cup away to work/exercise/etc.). The low number of parts will reduce the time needed to wash and clean the blender. One of the disadvantage of personal blender is the quite low pitcher capacity. 32 ounce is the top limit here, although some models can have a higher capacity. With the small capacity, a smoothie for the whole family will have to be done in batches – well, that’s why it’s called personal blender right? Plus, most personal blenders are lightweight and does not take too much storage space. If you are living by yourselves, or are the only one in your house that drink smoothies, then this is the best type of blender for you. I’ve personally used a personal blender in the past and it is just very convenient to use. Cool. So what is the best personal blender out there? Lately, there is a flood of new personal blenders out there. Almost all of the blender manufacturer has come out with their own version of personal blender. 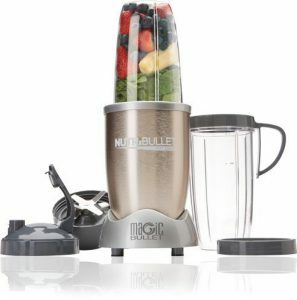 Models like Nutribullet and Nutri Ninja BL456 are two of the most popular and highly rated personal blender right now. The personal blender market is so hot, that even Vitamix is releasing their own personal blender, the Vitamix S30. As you can see, the contest for the best personal blender is a highly competitive one. Even the Nutribullet has 3 variation (Nutribullet, Nutribullet Pro and Nutribullet Rx). In coming to my conclusion of the best personal blender, I’ve factored in the affordability and function. The blender must be affordable, and yet good enough to make a delicious smoothie. 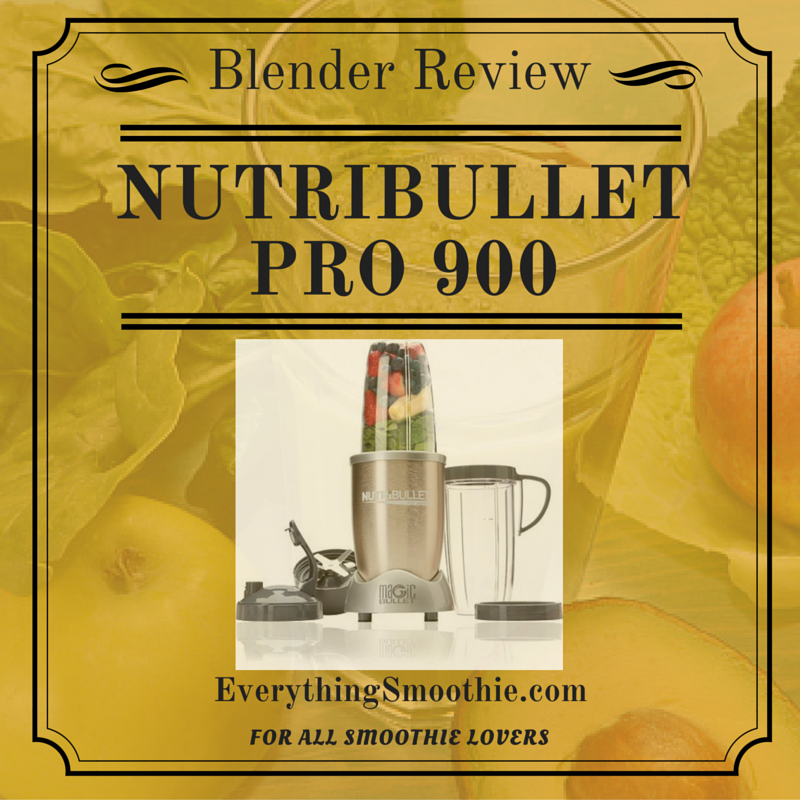 I’ve chosen Nutribullet Pro 900 version as my choice of the best personal blender. I love the fact that it can pulverize fruits and vegetables into a very fine textured smoothie. It only has a powerful 900 watt of motor power. The designer has made use of the small pitcher area to make sure all the motor power is used efficiently. The result is a smooth consistency of blended smoothie. It is quite light (8.1 lbs) and has a base dimension of 7″ x 14″ x 13″. It is very compact, and yet very powerful. Nutribullet also has uploaded some recipes at their website. Do check them out as some of the recipes are really nice. For less than $100, this blender is really a bargain! One of its drawback is the small pitcher size (only 32 and 24 ounce cups) and the limited 1 year warranty. There seems to be some issue regarding leaking while using the blender. Some customers reported this issue happened to them. Nutribullet’s has come up and remind their customer to not overfill the pitcher (higher than the max line) and to really tighten the blade base to the pitcher. Doing so will cause leaking when the blender is operational. Some customers chime in and said they always observe the two rules and they never have any problem with their NutriBullet Pro 900. Personal blender is the right choice if you keep complaining on how long it takes to clean up your countertop blender. Its small, lightweight and easy to clean features make it a top choice among millennials that seem to have little time in their very busy life.